Following up on author Dennis Lewis� previous books on breathing, this represents his most straightforward, nurturing approach to the subject. 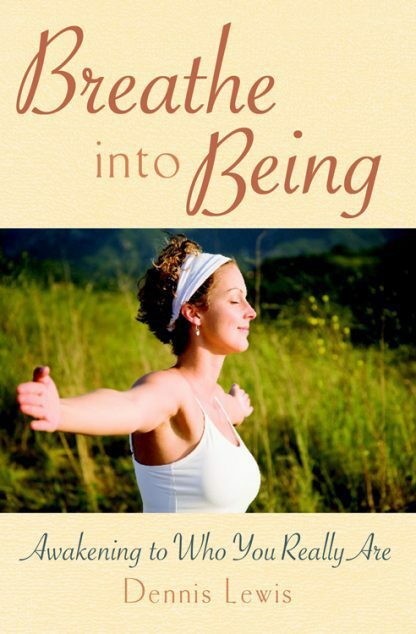 Divided into brief, accessible chapters, the book features short, simple breathing exercises that lead readers to a profound awareness of their essential being through the miracle of the breath as it manifests in the body. Lewis presents breathing as an ever-present gateway to awakening to the true self. Based on his extensive teachings and workshops as well as his engagement with various traditions including Taoism, Advaita, and the Gurdjieff Work, Breathe into Being helps readers awaken to a larger perspective to receive new, direct impressions of the truth of their lives. Readers also become conscious of their bodies as a sacred temples that can lead to the source of all being; release constricting physical and emotional tensions; and enhance breathing itself in new self-created conditions of comfort, openness, and ease of being. A former businessman (co-founder and former president of Hi-Tech Public Relations) and a long-time-student of Taoism, Advaita, and the Gurdjieff Work, Dennis Lewis teaches the transformative power of presence through Authentic Breathing�, qigong, meditation, mindfulness, and self-inquiry. He leads workshops throughout the United States, at venues such as Esalen Institute, The New York Open Center, The Kripalu Center for Yoga & Health, and various qigong conferences. He is co-editor, with Jacob Needleman, of two books: Sacred Tradition & Present Need (Viking) and On the Way to Self Knowledge (Knopf). Both books were published in the 1970s. His book The Tao of Natural Breathing: For Health, Well-Being and Inner Growth was first published in September, 1996, and was republished by Rodmell Press in May, 2006. His two-cassette audio program entitled "Breathing as a Metaphor for Living" was released by Sounds True in September 1998, and then re-released on CD in April 2005 as "Natural Breathing". His most recent book Free Your Breath, Free Your Life: How Conscious Breathing Can Relieve Stress, Increase Vitality, and Help You Live More Fully was published by Shambhala Publications in May 2004. His writing has also appeared in numerous publications, including Yoga Journal, Gnosis, Parabola, Somatics, Library Journal, Manas, and the San Francisco Chronicle. He is a member of the National Qigong Association.